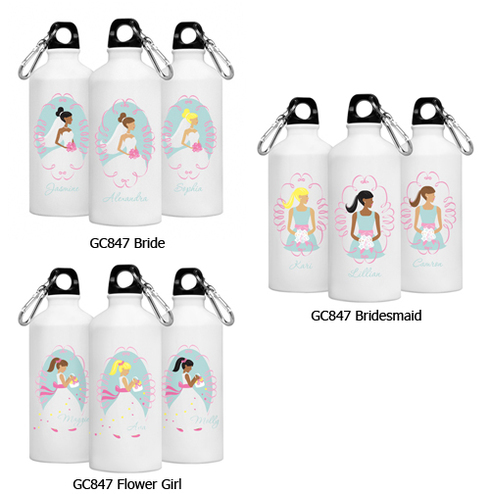 Keep the bride and her attendants hydrated with our cute and colorful personalized Goin’ to the Chapel Water Bottle series. 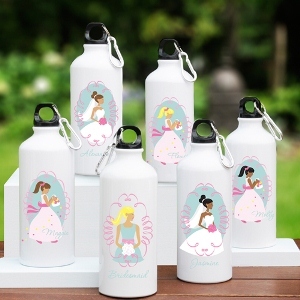 They make great bridesmaid’s gifts they’ll use again and again. Complete with a sturdy cap and convenient clip, these personalized 20 ounce aluminum water bottles include a pretty image and name of the recipient written in script. Choose bride, bridesmaid, or flower girl as well as hair color. Personalize with one line of up to 10 characters.